The New Orleans Jazz & Heritage Festival, which turns 50 this year, has announced its lineup of performers for 2019, and they include … the Rolling Stones? Yes, you read that right; the Stones will make their first appearance at Jazz Fest this year. Other headliners include country music star Chris Stapleton, pop singer Katy Perry, rock legend Van Morrison, and funk outfit Earth, Wind & Fire. The festival takes place on two consecutive weekends between Apr. 25 and May 5. The first week will feature acts like Alanis Morissette, the Doobie Brothers, Jimmy Cliff, Santana, Leon Bridges, Logic, Al Green, and Bonnie Raitt. The second week’s lineup includes Tom Jones, Ziggy Marley, Gladys Knight, Gary Clark Jr., Dave Matthews Band, Pitbull, Jimmy Buffett, and John Fogerty. Of course—and this has become an annual observation/complaint regarding Jazz Fest—those acts are all a far cry from what most observers would define as jazz. 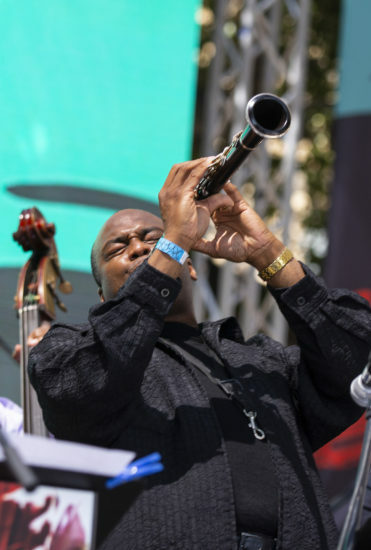 But rest assured that the festival also has a stellar lineup of improvising acts, including James Carter, Jason Marsalis, Terence Blanchard, José James, the Preservation Hall Jazz Band, and the Treme Brass Band in the first week, and on the second week musicians such as Nicholas Payton, Kamasi Washington, Kermit Ruffins, and Herbie Hancock. Tickets to the New Orleans Jazz & Heritage Festival will go on sale to the general public on Jan. 18. For more information, and to see a full list of performers, visit nojazzfest.com.